All my mods are exclusive to Nexus. I do no allow them to be ported to other websites. 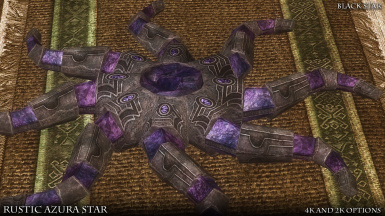 RUSTIC AZURA'S STAR is a hi-res retexture of the daedric artifact, Azura's Star. There are three versions of the artifact in game. 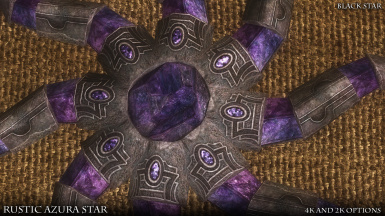 The broken star that you find at the beginning of the quest, and the two versions available at the completion of the quest: The unlimited grand soulgem version, or the "Black Star" which is an unlimited black soulgem. 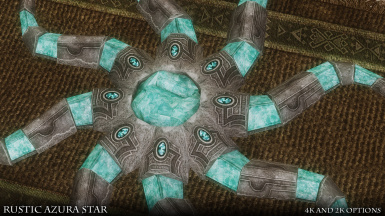 Since Azura's Star is essentially a unique type of soulgem, I figured it would make sense to do a rustic retexture of it in keeping with the soulgem textures I made for my RUSTIC SOULGEMS mod. 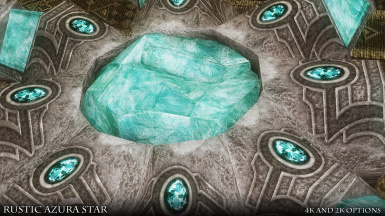 Unfortunately, adding the transparency and glowing effect is not really doable due to the fact that half of the artifact is made up of metal pieces. Someone would have to create a new mesh to allow for those kinds of additions. Therefore, this is just a straight texture replacer, and doesn't contain any meshes. 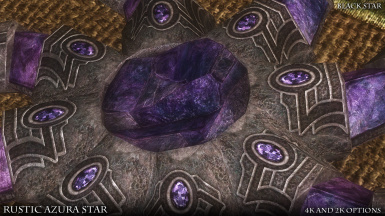 Regardless, the appearance of the soulgem crystals match the grand soulgem and black soulgem of my RUSTIC SOULGEMS mod, so you at least will have consistency if you use both mods. 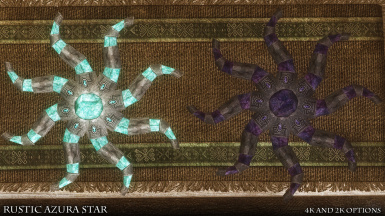 While it might've made some sense to include this retexture with the RUSTIC SOULGEMS mod, Azura's Star is a unique daedric artifact, and there will always be people who are using other soulgem replacers but still want a hi-res retexture of Azura's Star. I therefore decided to make the mod separate for now. 4K and 2K texture options are available, but keep in mind that these textures are rectangular rather than square, so they are only half the file size of a normal 4K or 2K texture. Therefore, the 4K textures are 4K in length, but only 2K in width. The 2K textures are 2K x 1K in dimension. 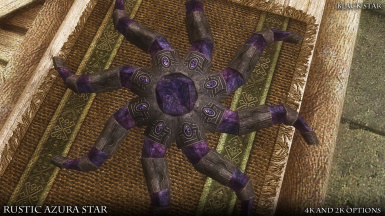 I hope people enjoy this latest addition to my RUSTIC retextures for Skyrim. 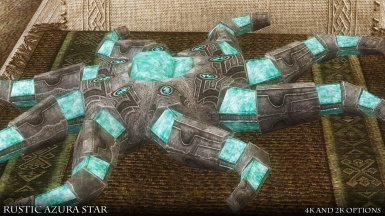 May Azura smile upon ye.